Estate Planning for Your Digital Life | The Levin Law Firm - Philip Levin, Esq. Facebook legacy contact, Facebook memorialized account, Family Wealth Planning Session, Social Media Memorialized Account, Who Owns Your Online Accounts? Matters of the heart are no less important than material possessions. And with proper planning, your digital life can live on beyond your passing. 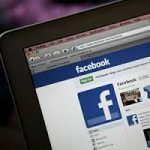 Have you ever thought about what happens to your social media accounts in the event of your death? According to the Pew Research Center, 74% of internet users maintain a social media presence using websites like Facebook, LinkedIn, Instagram, and Twitter. 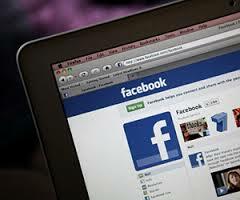 The far majority of internet users maintain a Facebook account. Many people assume that the online accounts they use are “their” accounts and that they have the right to decide what happens with those accounts after they die. That is simply not true. While a few states have adopted laws to give family members some ability to obtain or access online accounts, access is usually a matter of contract. When you sign up for a social media account, including email and banking accounts, you agree to the company’s terms of service. Those terms of service typically dictate what happens to your account after death. Your online social media accounts contain unique and touching memorabilia about you. It may comfort your family and friends to revisit that material so they can maintain a connection with you and with each other. It really is a pretty cool way to live on in the hearts and minds of your loved ones. If you do not take steps to provide for your social media presence after you die, your loved ones will be faced with significant hurdles to access your material, including photographs and posts. In most cases, there are many hoops to clear involving death certificates and proof of identification. Sometimes, even a court order is required. Facebook offers two options that subscribers may choose before they die. notified of a user’s death. The second option is a memorialized account. If this option is chosen, Facebook freezes the account and shows the word “remembering” in the person’s profile. In a memorialized account, Facebook friends may share memories on your page. However, the account is removed from public spaces, so that M events such as birthday reminders no longer occur. With memorialized accounts, Facebook also allows you to name a “legacy contact.” A legacy contact can pin something to your profile, update your cover photo, and respond to new friend requests. You may also allow this person to download portions of your content, although they cannot access your messages or remove any friends or material. If you do not make an election, your account will be memorialized with no legacy contact. Please feel free to call our office to discuss your questions and concerns, along with how your social media preferences can be integrated into your estate plan. We begin with a Family Wealth Planning Session, where we guide you through the estate planning process, because no one wants to leave a mess for the one’s they love. Please call The Levin Law Firm to arrange a consultation with estate planning attorney Phil Levin, Esq., at (610) 977-2443.